Smart objects and services are increasingly entering into our lives and our homes. While they used to be quite rare a few years ago, they are now part of our daily lives: Uber, Airbnb, smart home products, smartphones, email, bank… If they all already worked well standalone, they can now enter a whole new dimension if we connect them with one another. Imagine that all the lights in your house turn red to ensure your safe evacuation in case of a fire. Imagine that your sprinklers stop working as soon as it is raining. The question now becomes: how can we connect the different pieces of the puzzle together? Do we have to wait for each company to make each of their products/services compatible with all the other relevant products/services, one by one? Luckily, some solutions already exist to make it far easier for users and companies to create compatibilities between their products. These solutions are like a very special piece of a puzzle: they make it possible to match many other pieces together. Companies now simply must make their products compatible with a single solution instead of having to work on individual compatibilities with a very large number of products. In this article, we explore one of these solutions, called ‘IFTTT’. IFTTT (If This Then That) is a service created in 2011. It connects all your products and services together and enables you to create conditional bridges between products or services. If this happens, then do that. IFTTT is basically a wall-breaker between products and services. Cherry on the cake: it is entirely free and very easy to set up. IFTTT works as the App Store or Google Play Store. However, instead of choosing between apps, you choose between “applets”. Each “applet” corresponds to one very specific scenario which takes place once one product is connected to another. For instance, you could choose to connect your Philips Hue lights to another device, such as your Netatmo Weather Station. One applet could be “Change your Philips Hue lights to blue if is starts freezing outside”.  Applied to the Netatmo Weather Station, it would be translated as “If the temperature of your Netatmo Weather Station drops below 0°C (this), then change your Philips Hue lights to blue (that)”. Almost 200 applets already exist to link the Netatmo products to other products or services. If you don’t find the perfect applet because none of them correspond to your specific needs, you can easily create your own applet. And if you think your applet could also be useful to other people, you can choose to publish it on IFTTT so that other people are able to use it as well. How to set up IFTTT? 1. Go to the IFTTT website or download the IFTTT app available on the App Store & Google Play Store. 3. Start searching for applets you’re interested in, either through IFTTT’s ’recommendations’ or by looking them up. Search “Netatmo” to get the list of all the existing applets or services related to Netatmo. The “Services” section can be useful if you have a specific product or app, such as the Netatmo Smart Weather Station or the Netatmo Smart Smoke Alarm and you want to discover all the applets linked to this specific service/product. We have three services: Netatmo Thermostat, Netatmo Weather Station and all Netatmo Security products. Click here to view all Netatmo’s applets or services. 4. Once you find the relevant applet, you need to authorise IFTTT to access the product/service concerned (for instance a Netatmo product and a Philips Hue light). 5. Click on the applet you’re interested in and set it up. Some parts can sometimes be customised (for instance, you can specify which lights should turn blue or which specific module of the weather station should be used as a trigger). 6. Enjoy the benefits of entering the world of automations. If you want to create your own applet, click on your user ID on the top right corner (desktop) and click on “new applet”. Then follow the instructions to build your own scenario! By designing a smart weather station, we make it possible for you to enjoy benefits such as real-time remote access to your data on your smartphone, real-time notifications when a change happens and access to historical data to analyse trends over the months and years. 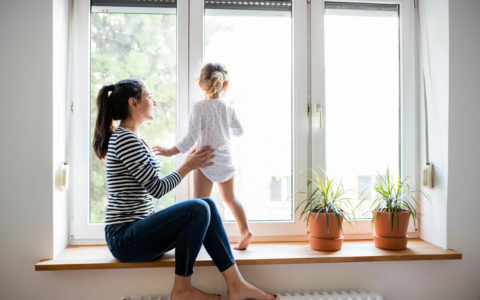 The Smart Weather Station doesn’t only measure outside temperature, humidity and air pressure but also reads noise, air quality, temperature and humidity indoor to help you improve your indoor comfort. You can also add accessories to track more data. Read real-time rain and wind measurements with the rain gauge and the anemometer or monitor several rooms at the same time by adding up to three additional indoor modules. If you think deeper about the concept of a weather station, it’s a device measuring many different parameters of your environment. By connecting it to the internet, you can use each of these parameters to trigger a specific action in your home. With the Netatmo Weather Station and its accessories, you can use any of the 17 existing triggers to create a scenario with another connected product or service. From turning off your sprinklers when it starts raining to turning on your ventilation when the air quality gets bad. It can even post a tweet when the temperature is above a certain level; the possibilities are endless. Among the most used applets for the Netatmo Weather Station, interactions with Philips Hue are very popular. The link between Netatmo and Philips Hue is mainly used to be visually alerted when a change happens in the environment. For instance, lights can automatically turn red or blink when the indoor air quality is bad to let the user know it’s time to ventilate. You can also choose to create an atmosphere that matches the weather: turning the lights orange when it’s freezing outside for example. 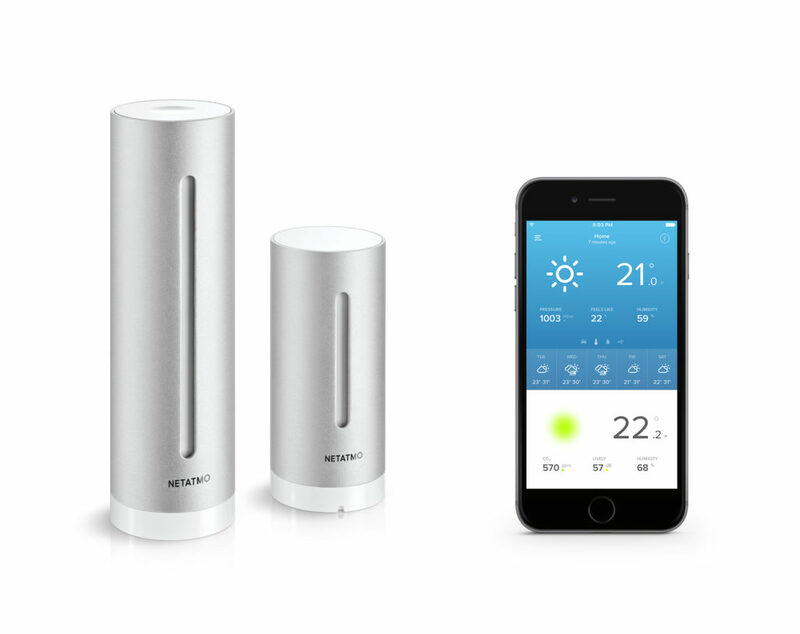 Thousands of people have already linked their Netatmo Weather Station to their Philips Hue. All the existing applets for the Netatmo Weather Station and Philips Hue are available through this link. And if you can’t find what you need, just create your own applet! When a fire starts, every second matters. Because it is connected to the internet, the Netatmo Smart Smoke Alarm enhances your home’s safety. In fact, when smoke is detected, traditional smoke detectors only sound an 85-dB alarm. But how will you hear it if you are not at home? Unlike traditional smoke detectors and thanks to its Wi-Fi connectivity, the Netatmo Smart Smoke Alarm not only sounds an alarm when a fire starts. It also sends you an immediate smartphone alert so you can take action, wherever you are. Thanks to the Netatmo Smart Smoke Alarm’s compatibility with IFTTT, you have the possibility to create interactions with your other smart home devices to create an even safer home. IFTTT can help you better deal with fire-related emergencies. One of the most interesting interactions would be to connect the Netatmo Smoke Alarm to Philips Hue lights. 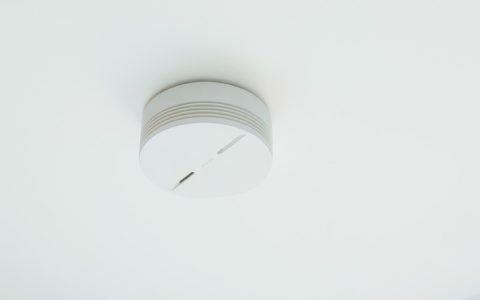 The lights automatically turn red or start flashing when smoke is detected to ensure you evacuate safely and as quickly as possible in the event of a fire. This can be especially useful if a fire starts at night when everyone is sound asleep. All the applets that exist between the Smart Smoke Alarm and Philips Hue can be found here. In total, 3 triggers are available for the Netatmo Smart Smoke Alarm on IFTTT from which you can elaborate your very own customised scenarios. 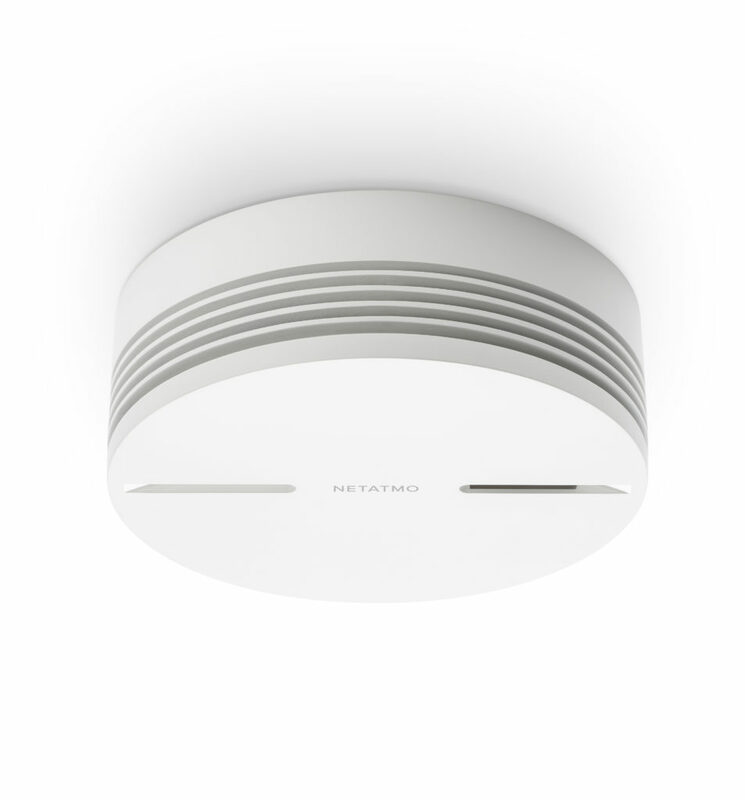 For Apple users, the Netatmo Smart Smoke Alarm is also compatible with Apple HomeKit. This compatibility also gives you the opportunity to create and customise smart home scenarios with your other HomeKit-enabled devices. You are now ready to make your home smarter! Use existing applets or create new ones to start building the home of your dreams. Share your new ways of connecting products together either on IFTTT or with us on social networks!